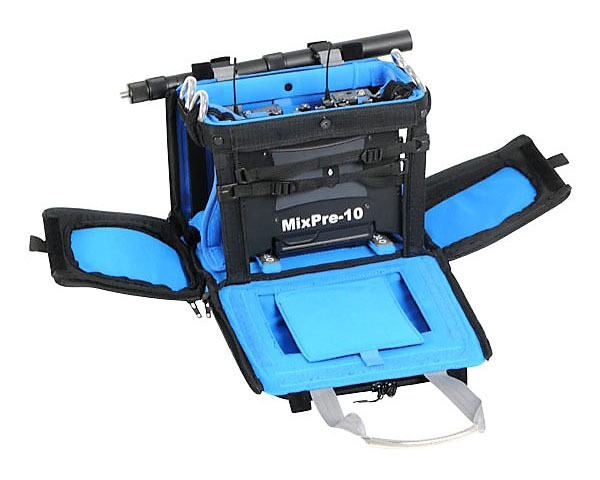 The new OR-280 Orca audio mixer bag was design to fit the Pre -Mix series mixers( and any similar size mixers) including the Mix-Pre 10 with the MX-L battery mount. The bag comes with large front pocket to store accessories, two handles ,a padded shoulder strap & internal sponges . The bag can be accessed from all directions, which helps the operator to arrange and access the equipment inside easily. 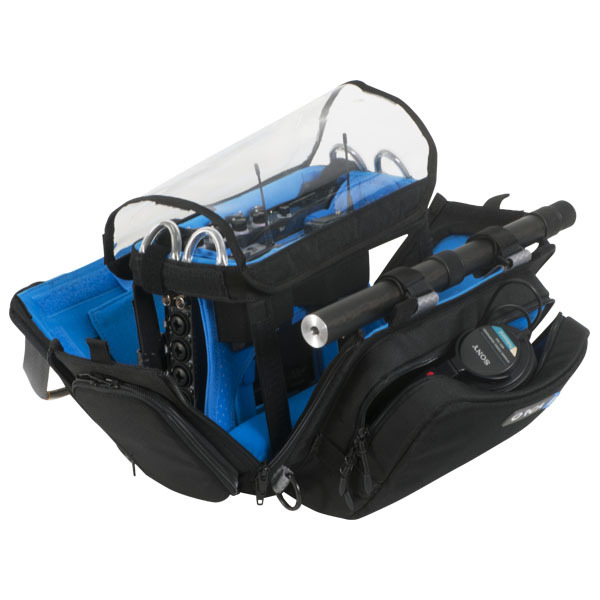 The bag’s top is made from transparent material for maximum visibility and to protect the gear from the environment. The OR-280 have, internal honeycomb frame, which create a 360 degree protection around the gear inside the bag. – Opens from all directions for maximum access . – Top Clear transparent material for easy viewing And environmental protection. – Unique battery pocket with rubber straps. 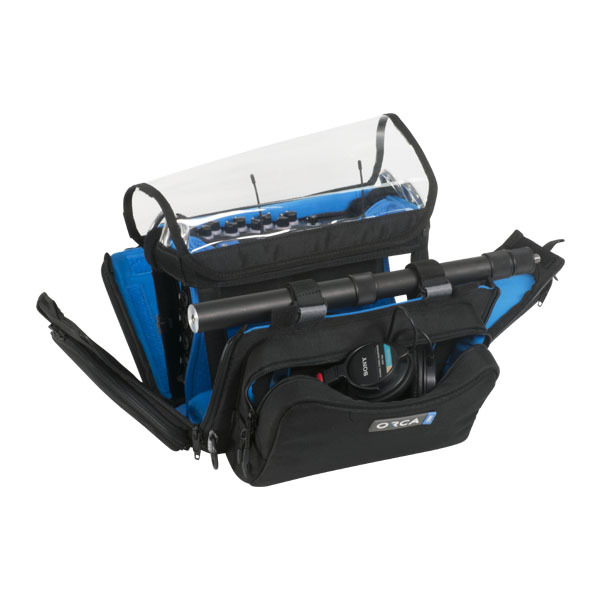 – Carrying handles , padded shoulder strap & front pocket for storing any accessories. 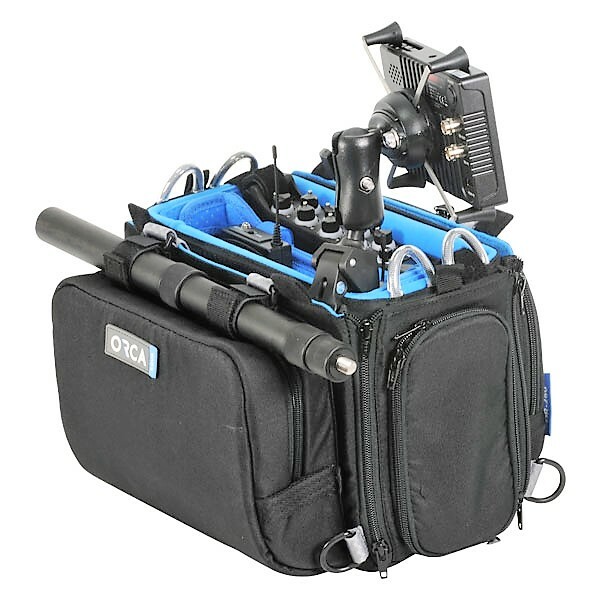 – Front Hook and Loops straps to hold boom pole or cables. – Can be connected to the Orca Harness, to ease the load off user. – Inside lining made from bright blue brushed polyester for easy viewing of equipment. – Two Hooks and Loops to secure the mixer in place. Internal sponge for wireless setting. – Orca Lifts for mixer height fitness.